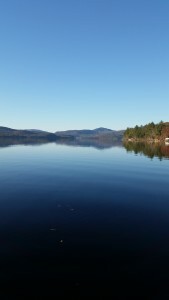 Lake Winnipesaukee- New Hampshire’s largest lake and my most requested trip. “Winni” offers something for everybody. 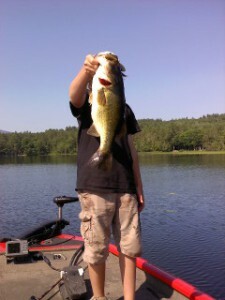 Largemouth and smallmouth bass, Spring, Summer or Fall, Winni has it all! 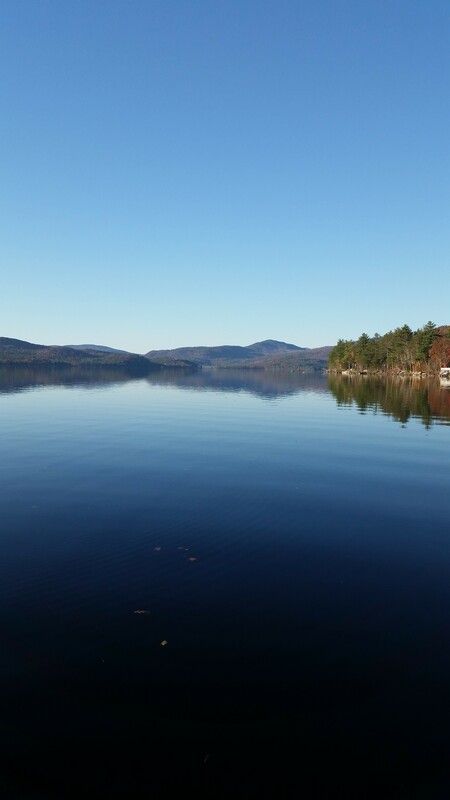 Surrounded by the mountains, the lake is very scenic. With over 250 islands, there are plenty of “hiding places” to fish and it is a good year-round producer. 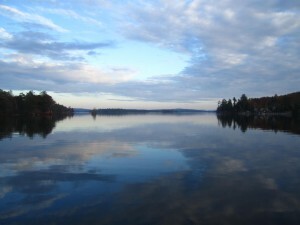 Lakes Region Alternatives- One of the great things about this region is that there are plenty of alternatives to fishing the “Big Lake”. 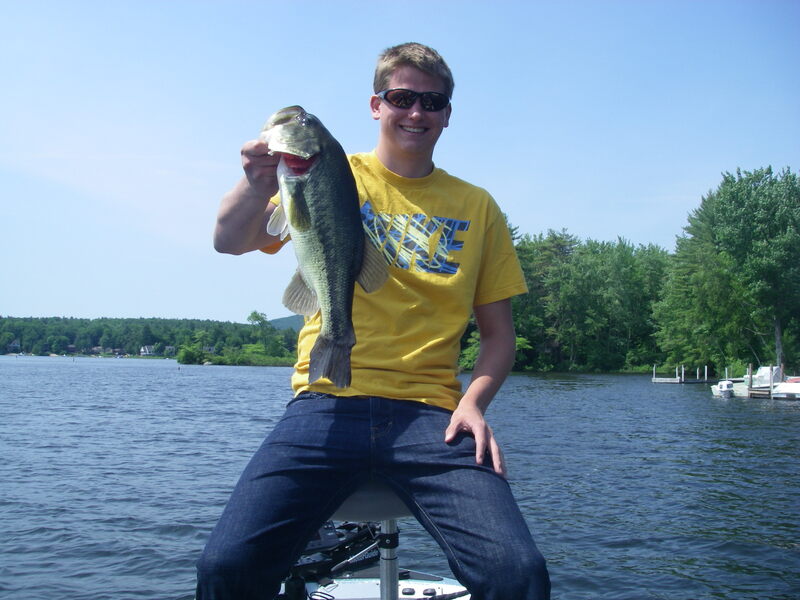 If the weather doesn’t cooperate there are a number of smaller bodies of water to safely fish: Lake Wentworth , Wicwas Lake, Lake Waukewan and Lake Kanasatka are local and all have good bass fishing. 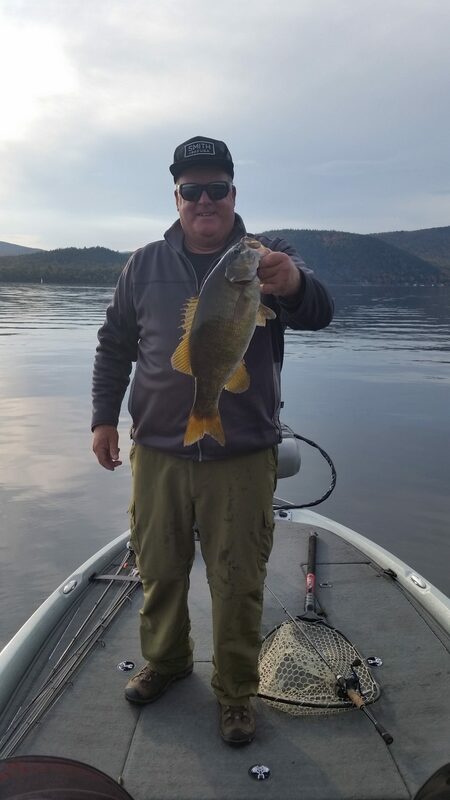 Newfound Lake Fall SM 4.40 lbs. Squam Lake- Made famous by Henry Fonda’s movie, “On Golden Pond”, Squam will surely become one of your favorite places to be. 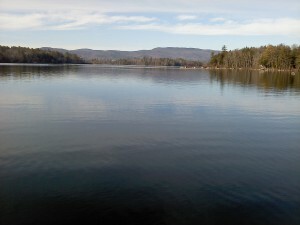 Lots of islands, coves and bays provide many nooks and crannies to fish for both largemouth and smallmouth bass. The lake has lots of rockpiles that hold nice fish and there are even some weeds to fish, too. 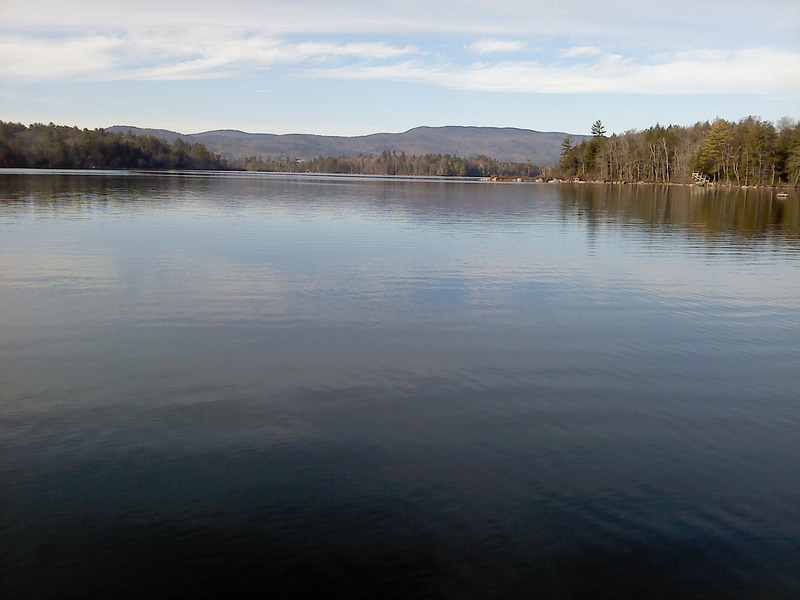 Shallow, deep, or in-between, Squam provides an angler with plenty of opportunity to catch some nice fish. 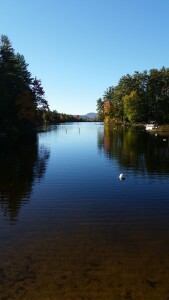 Conway Lake- A hidden gem in the heart of the North Country. Just minutes from the attractions of the Mount Washington Valley, but a world away from the hustle and bustle. Conway Lake is a great place to fish for bass…especially while your wife shops! I’ll pick you up at Settlers Green Outlets (or your hotel) and take you out fishin’ while she enjoys the many shops the Valley has to offer. Or, do you have a teenager who is just too old to visit Storyland or Santa’s Village again? I’ll come get him and take him fishing while you enjoy the day with the younger kids. Before we started fishing tournaments, my son Travis and I fished Conway Lake every weekend for 5 years. We never went anywhere else…come see why! 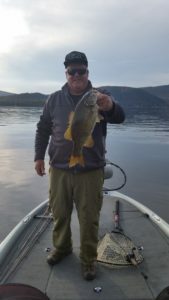 Travis shows off a Conway Lake beauty. 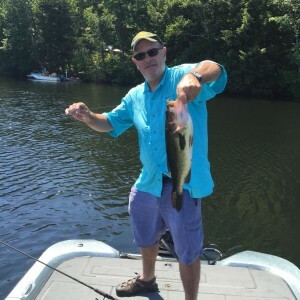 Caught on Father’s Day!